Several traffic offenses can leave you a “habitual traffic offender” (HTO). If you’ve been considered a habitual traffic offender, our attorneys at The Umansky Law Firm may be able to help. Our HTO attorneys can look into whether or not your HTO status can be reversed. Many times, clients get a letter from the Department of Motor Vehicles through the mail, which indicates that they have been judged guilty on three driving on suspended license cases within a five-year period, making them a habitual traffic offender. Essentially, this means they’re going to lose their license for five years. Take action now to protect yourself. There are plenty of panicked individuals after they receive an HTO letter because they have to have their license back because they commute to work and go to school, and also for plenty of other reasons. We all know those reasons why we need our driver’s license. Our lawyers are able to sort out whether or not those three cases that have caused them to be a habitual traffic offender are criminal or civil tickets. There is nothing minor about a traffic violation, especially when more than one is involved. Multiple infractions can result in fines and other criminal penalties, and can also lead to increased insurance rates. Continuing to ignore the problem could result in jail time and the suspension or revocation of a driver’s license. A hardship driver’s license is a specific license that allows someone to drive for an essential purpose, usually to and from their place of employment. As a habitual traffic offender, it may be difficult to obtain a hardship license. However, it is not impossible. Though you will not be able to obtain a hardship license for your first year as a habitual offender, we can make an application through the Department of Highway Safety and Motor Vehicles’ (DHSMV) Administrative Review Office. This office then makes the determination whether or not you qualify, based upon your completion of required classes and any other issues that may relate to your case. The Umansky Law Firm is dedicated to protecting the rights of drivers. 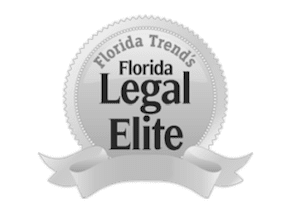 To schedule a free case review with an Orlando traffic ticket lawyer, call our Orlando office at 407-228-3838 or fill out the form on the left.